This Mega 36-pack is full of Mega fun! 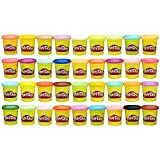 These bounce Play-Doh cans come in 36 assorted colors For all of your creative needs. 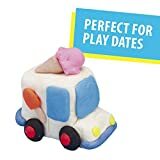 From birthday gifts and party favors, to kid party crafts and classroom activities, these cans are full of everyone's favorite non-toxic Play-Doh compound. 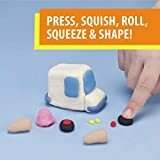 This Play-Doh set is great for kids ages 2 and up who love to squish, mix, and make fun creations with Arts and crafts like modeling clay. It ships in simple recyclable packaging that's easy to open and frustration free. 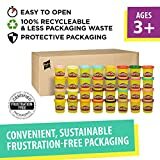 The Play-Doh cans and lids are also recyclable to help build a more sustainable world! 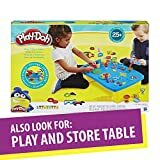 Interested in the Play-Doh Modeling Compound 36-Pack Case of Colors, Non-Toxic, Assorted Colors, 3-Ounce Cans (Amazon Exclusive)? Is the price too high? You can easily price watch this product and we'll notify you when the price reaches your target.